MELBOURNE (Reuters) – A vote by striking workers at Alcoa’s (AA.N) giant west Australian operations will close on Thursday, with the union anticipating a strong “no” vote that could prolong the four-week old strike. Around 1,500 workers at three alumina refineries and two bauxite mines in Western Australia state walked out on Aug. 8 over a new workplace agreement that they say does not offer sufficient job security. The refineries account for around 9.3 million tonnes of capacity or some 8 percent of the world supply of alumina, which is used to make aluminum. An extended outage threatens to further stress a market already suffering from a global shortfall. An Alcoa spokeswoman said the company had contingency plans to ensure operations can continue during industrial action. “We have not experienced any significant impact from the action to date and will continue to assess the situation as it develops,” she said. 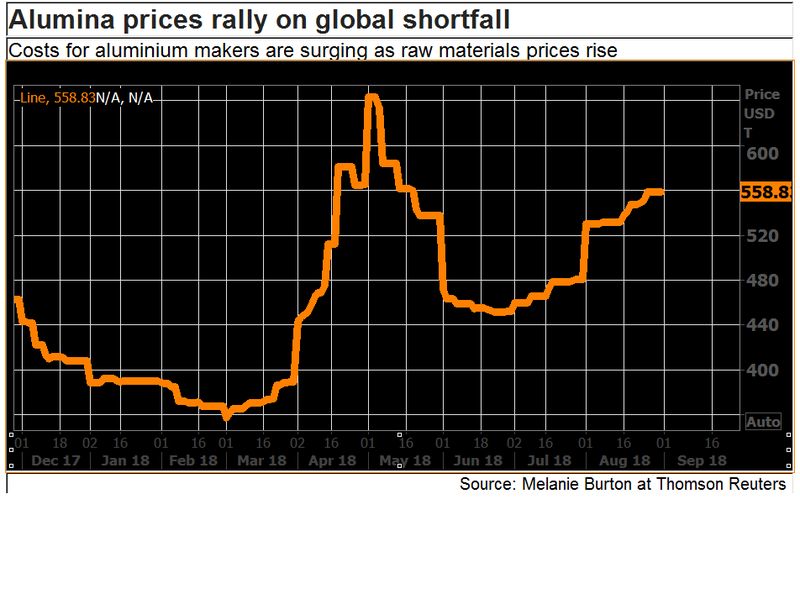 A shortfall in alumina has grown this year due to U.S. sanctions against global aluminum maker UC Rusal (0486.HK) and the partial closure of the world’s biggest alumina plant, Norsk Hydro’s (NHY.OL) Alunorte in Brazil. Prices for alumina futures AALc1 traded at $558 a tonne this week, up by a quarter from $450 in late June. In the physical market, a recent tender went for $632, traders said. Australian producers of alumina, South 32 (S32.AX) and Alumina Ltd (AWC.AX), both said last month that they expect high prices for the alumina to stretch into next year based on tight global supply, while Chinese producers have stepped up exports. Alcoa last year also won regulatory approval to ship 2.5 million tonnes of West Australian bauxite to third-party customers, on top of the production it supplies to feed its Western Australian alumina refineries. Australian Workers’ Union (AWU) Western Australian branch secretary Mike Zoetbrood said the union had seen “no movement on the ‘job security’ issue” with Alcoa, and was waiting for the ballot result due this Friday. The union had seen “no movement on the ‘job security’ issue” with Alcoa. “We anticipate a very strong ‘no’ vote from the members,” Zoetbrood said in an emailed response to questions. Alcoa also said there had been an “operational issue” at the Pinjarra alumina refinery over the weekend that was “unrelated” to the industrial action. The problem has been fixed. 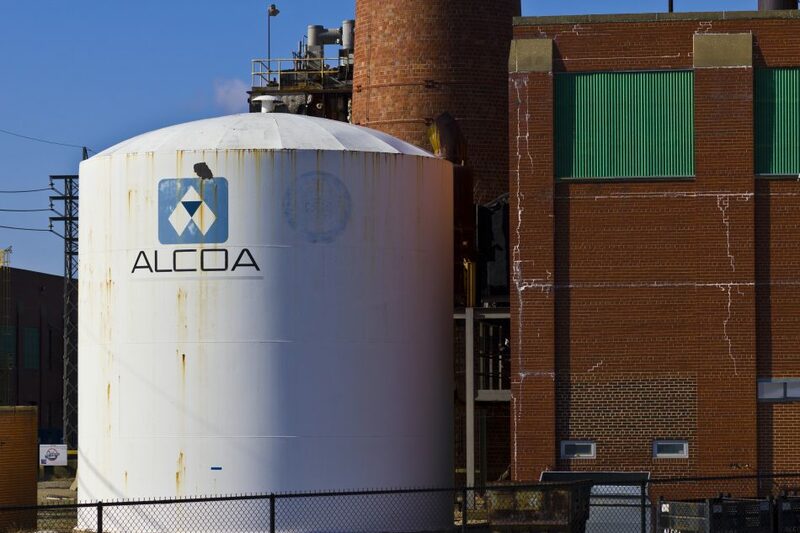 The refineries and mines are owned by Alcoa of Australia Ltd, which is part of the AWAC group of companies and owned 60 percent by Alcoa and 40 percent by Alumina Ltd.